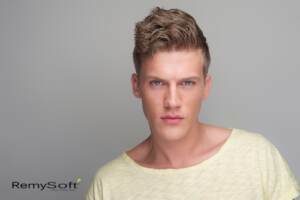 Every year, the latest in hairstyling trends for men change, just as fashions have a tendency to evolve as time passes. 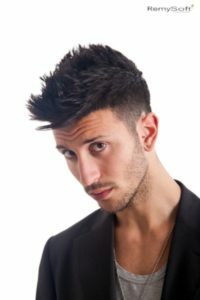 While quality hair care, including the use of a sulfate free shampoo and conditioner, will never change, if you want to stay on top of the latest styles for men, consider one of these five choices. Men should use a hydrating shampoo. The fade has long been a popular style among men, slowly fading from slightly longer hair down to nothing lower on the head. However, this year, this trend has taken a slight turn. Instead of keeping the top largely cropped close to the head, many men today are opting for a textured look, leaving their hair slightly longer at the top, showcasing the natural texture of their hair, whether it’s curly, wavy, straight or anything in between. Use a sulfate free shampoo and conditioner to keep your hair looking great. Keeping the hair short on the sides and longer on the top can serve to elongate the face, which makes this modern take on the fringe perfect for individuals who have a rounder face shape. This hairstyle also lends itself well to the recent trend of a messy look, which has quickly taken the world by storm. Quality hair care is a must for any style. While some men still opt for traditionally short styles, others are going a bit longer. You don’t have to wear your hair extra long to get the effect you’re looking for. 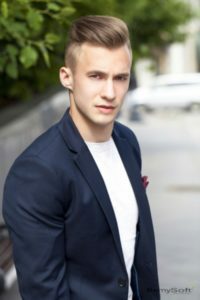 Mid-length styles are becoming a popular option for men who want a little bit of length without having to tie their hair back on a regular basis. Use a hydrating shampoo before you slick. For men who wear their hair slightly longer on top, a slicked back look can be the perfect alternative, providing a clean, professional look. This style can be accompanied by shorter sides or you can keep your hair longer on the sides and slick it back as well. Men need to focus on quality hair care. 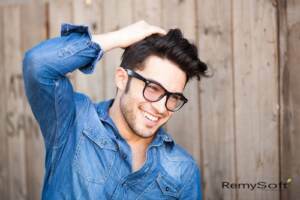 Even though this hairstyle trend dates back to 2014, it still remains a hot option for men. However, this style has changed shape a bit over the last year to give it a bit more edge. Most men comb the length back, but don’t slick it down, giving their hair more lift and height. As the hairstyling trends for men change over the years, one thing remains the same: a hydrating shampoo and quality hair care provides men with the healthy hair they need to create the amazing styles they’re looking for. If you’re looking for sulfate free shampoo and conditioner to keep your hair looking great, contact us. We carry a full line of hair care products designed to help you maintain any hairstyle. By submitting a comment you grant RemySoft Hair Care a perpetual license to reproduce your words and name/web site in attribution. Inappropriate and irrelevant comments will be removed at an admin’s discretion. Your email is used for verification purposes only, it will never be shared.